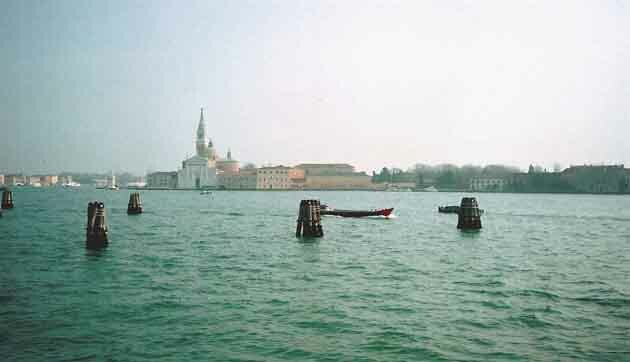 Venice in winter – the only time to go. Stay in Venice. Do not go as a day-tripper. Why number 1? Venice is a stinking, teaming horror-pit in the summer. By contrast, in winter the day trippers are still numerous but manageable, the light is fantastic for photos, the few hotels that are open will give you really good deals, and the restaurants that are open must be the ones able to survive on locals’ patronage, so must be amongst the best. Why number 2? Avoid the crush of day-trippers and potter around the empty city at night. Magic. Part of the experience of Venice is about feeling smug lounging around in your palazzo whilst the hoards canter around the alleyways trying to see everything before their buses whisk them away. Because the trippers have to see everything in a rush, they congregate around the big highlights, whereas you can stroll leisurely around the likes of Dorsoduro unmolested during the earlier parts of the day and then head across to the more touristy attractions later in the afternoon when the majority of visitors are dragging themselves away. Places to stay: I stay in the Ca Maria Adele in Dorsoduro, as it’s stunning, tiny and the area is convenient to the all the places I want to go and is one of the quietest and most residential districts in Venice. I’ve had friends who have stayed at the Cipriani, and loved it, but the only reason to stay there really is that it’s got an outdoor pool, and if you are going in winter, you aren’t going to be taking advantage of that! Hotel: Ca Maria Adele, an utter gem, in my top 3 romantic hotels of all time, a tiny palazzo in a quiet, beautiful part of town. Culcha: Peggy Guggenheim Collection (about 10mins walk from Ca Maria Adele). Small, but perfectly formed collection of important modern art – Surrealism, Cubism, Abstract. Picasso, Pollock, Dali, Magritte – fantastic intro to modern art if it’s previously not been your thing. Fascinating lady, fascinating little palazzo on the Grand Canal, lovely little garden and a tea room. Coffee: Hotel Londra, sitting outside by the Piazza San Marco watching the world go by, overlooking the lagoon. Restaurant: Antica Carbonara, super old-school restaurant serving Venetian cuisine. The booths are made from the timbers of an old Hapsburg yacht and the supporting pillars are from the masts. We stumbled on this place at 10pm one cold February evening, and it was jammed with locals. Down a tiny alley, tucked away. Great find. Transport: forget the gondolas. The real treat in Venice is flashing around in the Rivas. They are one of my all time favourite makers of small boats, and it was brilliant zooming around town in them. Walking: You will most likely spend a lot of time pounding the streets, it’s difficult to stop exploring the tiny alleys and canals. 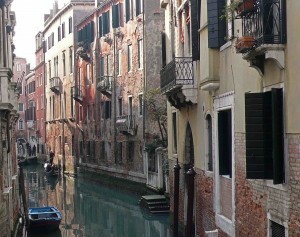 Dorsoduro is a lovely part of town to do this whilst you wait for the hoards to disperse. In winter, the fact that many hotels and restaurants are closed can constrain where you stay and eat (for example the Cirpriani and Palazzo Barbarigo are both shut), but it means that there are so few tourists staying in the city that you really do have the place to yourself, and that is a fantastic opportunity that you should never pass by. It really is mind boggling to think about how bonkers the merchant princes were to build Venice where they did and how they did. I’m fascinated by trading ports (must come from living in HK), and to me Venice is the ultimate collaboration of trade, engineering, art and architecture. Culcha: Peggy Guggenheim Collection (about 10mins walk from Ca Maria Adele). Small, but perfectly formed collection of important modern art – Surrealism, Cubism, Abstract, Picasso, Pollock, Dali, Magritte – fantastic intro to modern art if it’s previously not been your thing. Fascinating lady, fascinating little palazzo on the Grand Canal, lovely little garden and a tea room. Coffee: Hotel Londra, sitting outside on the terrace of their Do Leoni restaurant, by the Piazza San Marco watching the world go by, overlooking the lagoon. Restaurant: Antica Carbonera, super old-school, centuries old restaurant serving Venetian cuisine close to the Rialto bridge. The booths are made from the timbers of an old Hapsburg yacht and the supporting pillars are from the masts. We stumbled on this place at 10pm one cold February evening, and it was jammed with locals. Down a tiny alley, tucked away. Great find. In winter, the fact that many hotels and restaurants are closed can constrain where you stay and eat (for example the Cirpriani and Palazzo Barbarigoare both shut), but it means that there are so few tourists staying in the city that you really do have the place to yourself, can eat where the Venetians themselves do, cutting out a lot of tourist clutter and the light is so very pretty for photos.